It's a plausible theory that more magnesium would make muscles stronger. The mitochondria in muscle cells need magnesium for the energy molecule ATP. 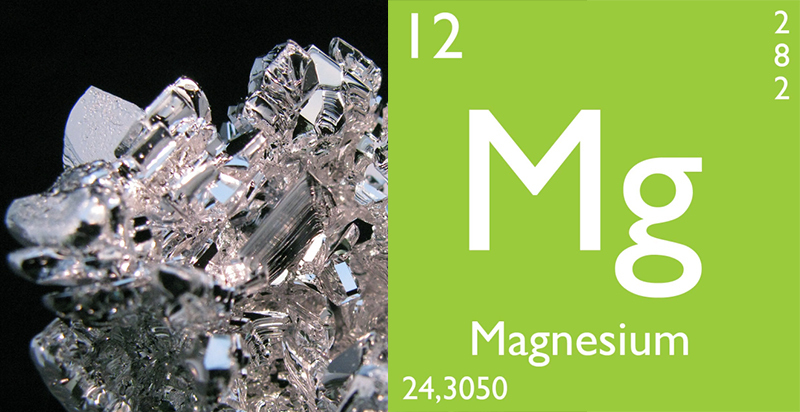 Cells use magnesium to produce protective enzymes. Too little magnesium results in damage to DNA and other important molecules. There is a study in which a magnesium supplement increased the rate at which novice strength athletes gained strength. In the study the test subjects consumed 8 mg magnesium per kg bodyweight daily through food and supplements. That's about twice the daily amount recommended by nutritionists. On the other hand, according to American figures, almost seventy percent of the adult population consumes too little magnesium. Twenty percent doesn't even manage to consume half of the recommended daily amount. This is because magnesium is found in foods that we don't eat often, like fruit, tofu, nuts, beans and peas and whole grains. A hidden shortage of magnesium in our diet may explain the success of the old study. The study was carried out by Lorrie Brilla, a scientist who has also done research on magnesium-creatine and ZMA. But back to the Italian epidemiological study. The researchers discovered a relationship between muscle strength and magnesium. The relationships are modest but significant. In similar studies researchers previously discovered that higher concentrations of fish fatty acids in the blood kept elderly people fitter, and that old people who ate a diet containing high amounts of animal protein retain more muscle mass. Vegetable-based proteins don't do this. Other studies show that vitamin D supplements help old people to maintain muscle strength.